In a recent article, we asked why some professionals were still clinging onto Windows XP—an operating system that is no longer being supported. Unfortunately, Windows 7 and Windows 8 will be the next two operating systems that will join Windows XP. As of October 31, Microsoft has stopped consumer sales of its popular Windows 7 and Windows 8 operating systems. For many SMBs, this presents a potential problem, as Windows 7 has replaced Windows XP as the preferred operating system. From now until the release of Windows 10, Microsoft intends for Windows 8.1 to be the only choice for those that are purchasing through retail channels. However, there are still several ways to purchase new copies of Windows 7. Despite Windows 7 and 8 being end of sales status, there are still existing copies that are sitting in store shelves that can still be bought. 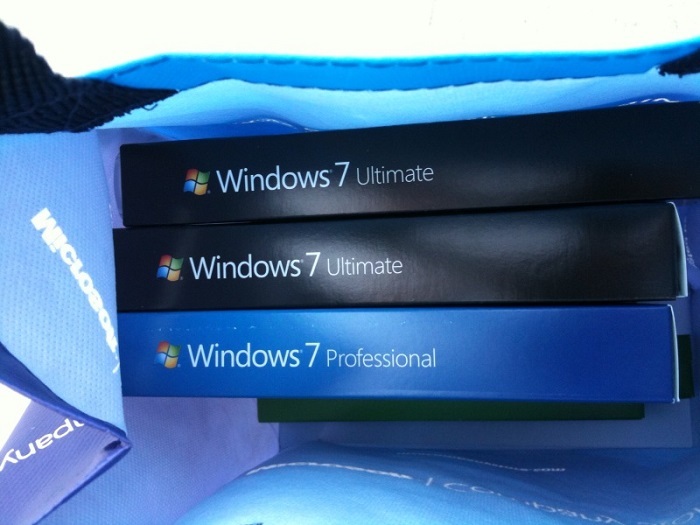 In our Operating Systems store, Windows 7 Ultimate, Professional, and Home Premiums licenses are still available. But that may be changing soon, as it is a finite supply that will not be replenished. You can also find some copies on online auction sites such as eBay. However, procuring large quantities of Windows through such sites may be difficult and at inconsistent prices. 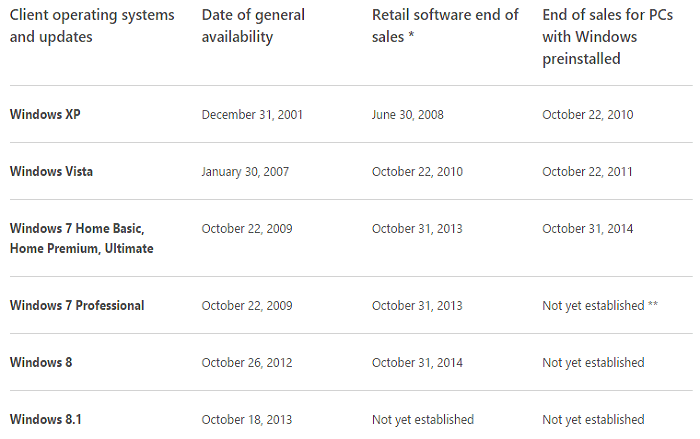 Ultimately, the availability of retail copies of Windows 7 and Windows 8 will continue to shrink. Windows 7 Professional and Windows 8 will continue to be available as a pre-installed option for select business-grade desktop and laptop computers. Unfortunately, the main drawback of this approach is that you are purchasing an entire system and not just a Windows license. Additionally, computers pre-installed with Windows 7 Home Basic, Home Premium, and Ultimate may not be easy to find. Additionally, Windows 7 Professional is typically available as an option for build-to-order business-grade workstations. Building a computer to order also allows you to further customize other options, such as the storage drive, processor, memory, and more. But because you are primarily purchasing a computer with Windows 7 and not just purchasing the operating system, it may be a more viable option if you need a new workstation anyway. For SMBs that have quite a few workstations that need a reliable and consistent source of Windows 7 or Windows 8 installations, one of the best alternatives is volume licensing. Despite the fact that Microsoft will attempt to upsell Windows 8.1, they still offer Windows 7 volume licenses. Ironically however, you technically still need to buy Windows 8.1. The way it works through volume licensing is that you need to purchase Windows 8.1 through a volume licensing agreement and then take advantage of Downgrade Rights to install Windows 7. The main downside of volume licensing though is cost. So those are the three primary methods of purchasing Windows 7 despite it being end of sale status. As it stands right now, the most cost-effect method is to purchase what is left in stock on shelves. However, if anyone else as any tips on how to purchase Windows 7, please let us know in the comments below.